Professional wrestler on GLOW Gorgeous Ladies of Wrestling. Hit TV show from the 80s. I was the second GLOW Champion, first bad girl to win the crown. I was 1 of the first 12 Original GLOW Girls from the pilot and Season 1. I also played a second character Sara of the tagteam of Sara and Mabel, the hooded characters. I was also one of the trainers with Americana who trained the new girls that were added to Season 1. At the end of Season 1 unfortunately I was injured which ended my wrestling career I sustained a back injury on faulty equipment. I am also an actress, model and dancer and did several commercials, TV and movies. After leaving Glow I started to work for United Airlines in the Reservation Center in Los Angeles CA and at the Airport in Ontario Ca. I moved to Honolulu, Hawaii where I continue to work for United airlines for 25 years. I am now retired from the Airlines. I then got married in Hawaii and started a family. I am the mother to my son Bradd and I now reside in Los Angeles, California. I continue to enjoy traveling the country and around the world. Jeanne Basone is a professional wrestler, actress, and stunt woman best known by her ring name Hollywood in The women’s wrestling syndicated television show G.L.O.W. Gorgeous Ladies of Wrestling. Basone was the first G.L.O.W. girl hired, and the only one to appear in all episodes of the show, from the pilot through the final season. She and her costars were recently honored by the Cauliflower Alley Club, a fraternal professional wrestling organization, for their achievements in helping break the glass ceiling in the sport. After glow, Basone continue to compete on the independent circuit. She appeared in several all female wrestling promotions including CRUSH, Beauty Slammers, and Hottest Ladies of Wrestling. She currently owns her own production company, Hollywould Productions, and travels around the world for appearances, comic con conventions and fan meet-and-greets. Basone has appeared in numerous television series and films as an actress and stunt woman. Basone has been featured on the covers of magazines, and even had a comic book created for her. In 2017, Netflix debuted a fictional series about her rise from anonymity to worldwide fame called GLOW.The 1st and now 2nd season was so successful, it has been nominated for 10 Emmy awards. Jeanie Is currently working on her first memoir. Currently a Professional Stunt woman & actress in Hollywood and still pro wrestling in the ring. Twitter: Cheryl Russ @ glow lightning. Annette Marroquin is an American Model, Actress, former Pageant Queen, Cheerleader and Wrestler. Johnny Cafarella created the first all women’s professional wrestling league and cable television series “Glorious Ladies Of Wrestling” in Minneapolis in 1983. In 1987, Cafarella signed with GLOW Gorgeous Ladies Of Wrestling, becoming producer, host and company manager, replacing David McLane. and Thursday Night Thunder on TBS. During this time, he opened Hulk Hogan’s Pastamania restaurant, at the Mall Of America in Minneapolis where the first Monday Nitro episode emanated from. 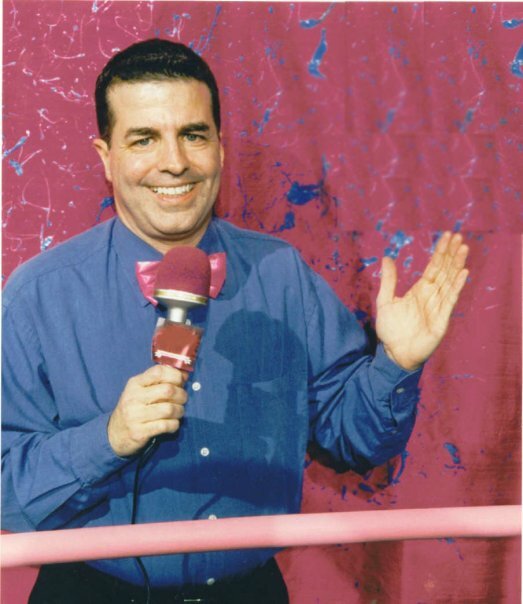 When WCW was sold to WWE in 2001, Cafarella returned to Minneapolis and worked for Value Vison, a home shopping TV network operating Shop NBC and World Wide Shopping Source. world after WWE and TNA/Impact. content creator. He enjoys tennis, golf and boating. Hi Friends and Fans! I’m Godiva, The British Bombshell from GLOW seasons 3 and 4. I became involved with GLOW at the behest of my real life best friend (and GLOW enemy) Debbie Debutante. I entered the ring on a gorgeous white Arabian with the Union Jack draped over his back! His name was General and we made a spectacular entrance. (He was sure all of the hoopla was for HIM!) I was a fierce heel who showed no mercy to those goody two shoes in the ring! My signature move was the Buckingham Bounce. Come on the cruise and I might just show you how it’s done! Russia was the USSR, in the mist of the “Cold War” a secret KGB agent sent to spy and infiltrate the Las Vegas entertainment syndicate as a lady wrestler. First she came to team with another Russian Colo. Ninotchka, but was soon on her own carrying the communist flag as her comrade defected to the capitalistic ways..
She was strong, a technical wrestler, serious to a fault and undefeated most of her career. Da! But behind this façade, a California native, actress, singer/songwriter and lover of the USofA!